is 930 working wit 4G ntwrk,,and does it hv a voice command? AnonD-340886, 04 Jan 2016No dude 1520 is better bcos it has sd card slot (upto 128gb)and 3400mah battery..930 and 1520 ... moreWell it depends from person to person. 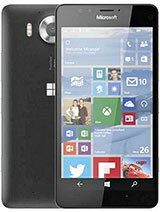 The 1520 has the advantage of a micro sd slot and a bigger battery but I don't have big hands, so I prefer the 930. I had a 1320 which is the same size and the battery was great. 1520 battery is even better, as far as I know it's still the best in gmsarena's battery test. Is this phone has any heating issues? taita, 25 Dec 2015930 is the best compared with 1020 or 1520No dude 1520 is better bcos it has sd card slot (upto 128gb)and 3400mah battery..930 and 1520 are same on processor (2.2ghz quad core), ram(2gb) with 20mp main camera ,1.2 mp front camera.. 32gb of internal storage... But 1520 has bigger display (although IPS LCD but better) bigger battery and sd card slot. 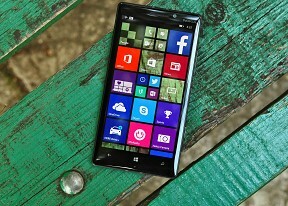 When will the Microsoft team release windows 10 in Lumia 930 to the East African countries? This phone is a beast! I love the camera, and the design of the device is awesome, its solid. Also, the processor and resolution is wonderful. Battery power isn't bad in my experience. Takes me through a full day. 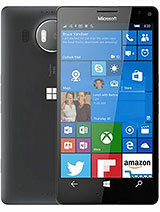 Running the latest Windows 10 Mobile and it is even better!!! chellu, 13 Dec 2015Guys which one z better to buy Lumia 1020 or 930 or 1520. Which one z best now? Would prefer you to take Lumia 930, the camera is great, Super Amoled Screen is great, Battery is average to great, performance is fast. 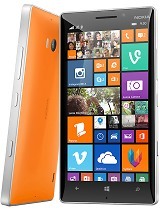 My brother uses Lumia 930 and it's great and fast from his impression. Senthil, 14 Dec 2015Even I heard the same but to my understanding, this is still not in Win 10 insider release. We... moreOk thank you.